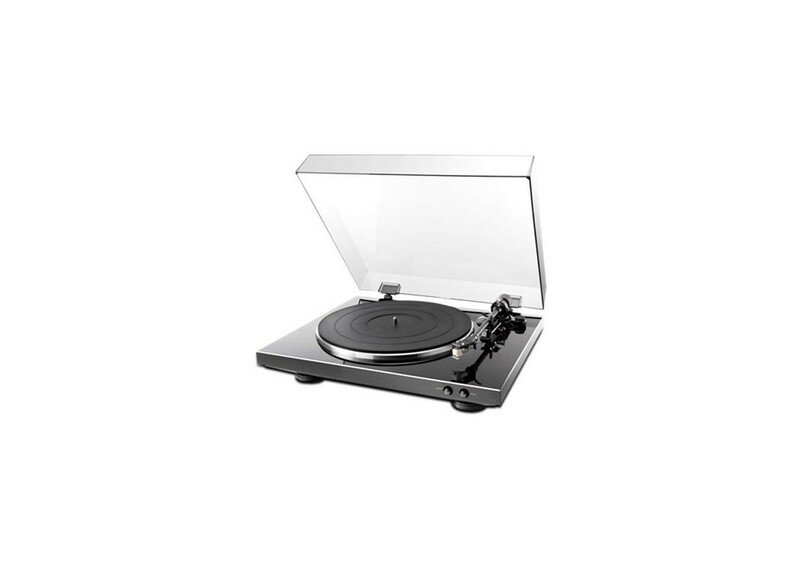 You will receive: 1 Denon DP-300F Black Fully Automatic Analog Turntable. The DP-300F has been designed with heavier base construction for reduced vibration and improved performance. The all new tonearm has a removable head shell making cartridge replacement simple. The standard mount head shell allows for any standard mount cartridge between 5 ~ 10 grams to be mounted and balanced. The automatic startup feature allows the turntable to begin play with the touch of a button, and once play has been completed, the tonearm will be returned to the armrest gently so that the stylus and record are not damaged or scratched. The turntable is made of rigid diecast aluminum to produce uniform rotation for smooth flutter free operation. There is also a manual lifter mechanism that allows you to place the needle on the record wherever you want, so you can skip to a different song in the middle of a side.